As the sun made a rare personal appearance over the Bank Holiday weekend, we were invited out west to see Arundel Castle. Arundel Castle is an impressive 11th century structure in the small town of Arundel in West Sussex. It’s a very castley-castle, if you know what I mean. Not just a pile of ruins, it’s the full ancestral pile. It’s served as a location for the films The Young Victoria and The Madness of King George and – best of all in our opinion – a 1988 episode of Doctor Who called Silver Nemesis. The other thing that’s interesting about Arundel Castle is that it’s still lived in today by the Duke and Duchess of Norfolk and their children. I guess they must clear out of the way when visitors are about. Or possibly hide in the suits of armour? I would totally do that if I lived in a castle. One day maybe. We went along on Saturday when a full on seige was in progress. 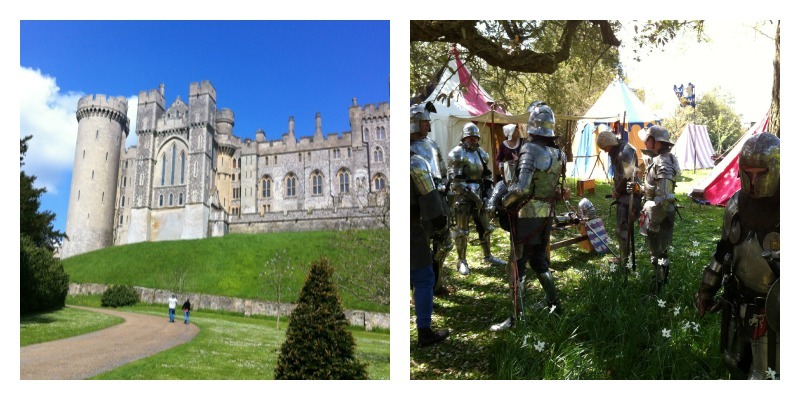 This was a special event for Bank Holiday Weekend, though the castle hosts regular events throughout the year. If I’m going for a day trip I always like to go when something extra is happening – means you get more for your money. The mock seige was enacted by over 200 volunteers with cannons, arrows, men in battle armour and all sorts of medieval malarkey going on. Great fun, like Horrible Histories come to life. Arundel’s grounds have plenty of highlights tucked away. We loved the spinning crown fountain in Oberon’s Palace, the beautiful gardens and walkways. It doesn’t get a mention on the website, but there’s also a mini-zoo in the grounds (extra charge payable – £1 for adults, 50p for children) which has birds, Shetland ponies, rabbits, tortoises and meerkats. The meerkats were pretty lively – we couldn’t decide whether they were fighting or mating so in the end we left them to it. Other things to do include visiting the interior rooms and castle keep so pack some comfy shoes. There’s a coffee shop and larger restaurant when you need a rest. 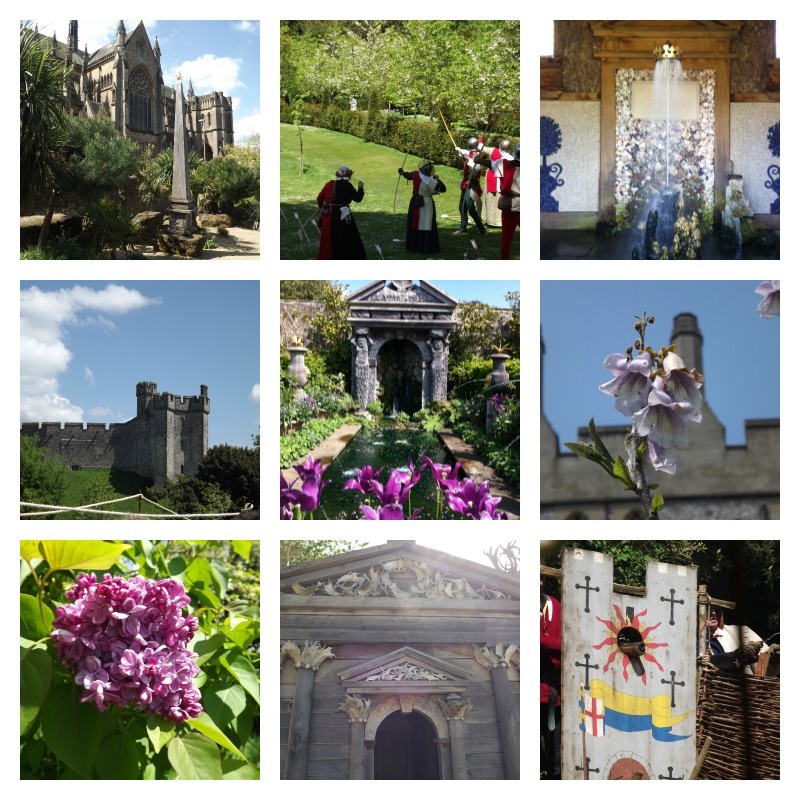 Arundel Castle is around 45 minutes’ drive from Brighton. It’s fairly close to Butlins at Bognor Regis and makes a good day trip if you’re staying in the resort. 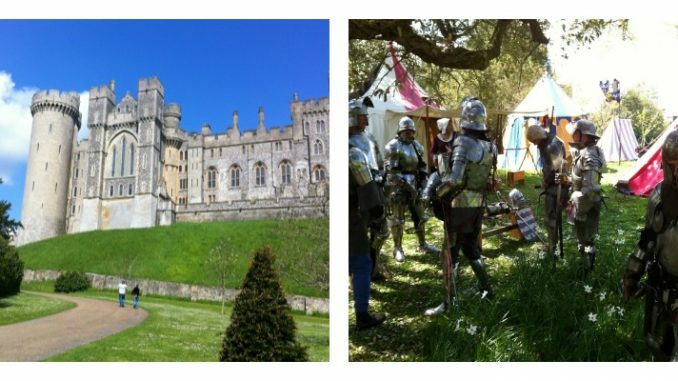 It’s also right next to a wetland centre and bird sanctuary, and the town of Arundel is very pretty and worth a visit so there’s plenty to do for a full day out. Tickets operate on a tiered system and start at £8 per person. This gets you access to the garden and grounds, chapel and coffee shop/restaurant. Children under 5 get in free. The grounds open at 10 but the castle rooms don’t open until 12. Think in advance which areas you are most interested in and which level of ticket will be best for you. Obviously this is an old building and therefore there are lots of steps involved in touring the castle. If mobility is an issue, or you have a child in a pram, then the grounds might be enough for you. 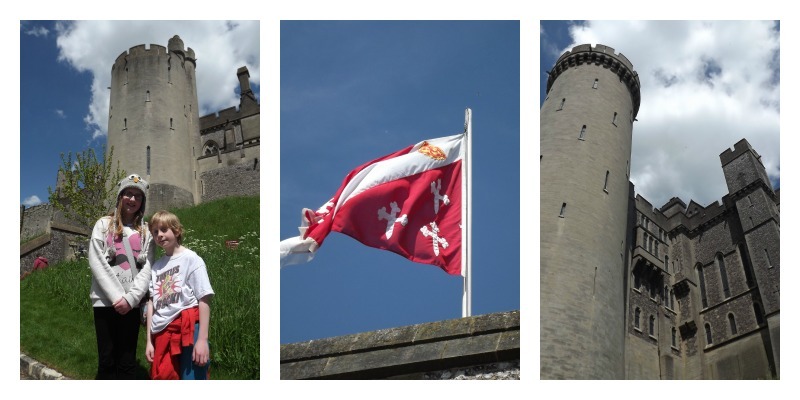 We were given Gold+ tickets for the purposes of review – these tickets get you access to everywhere including the castle bedrooms which are still in use. We enjoyed looking round the interior rooms a lot but then we are total history nerds and a bit nosy too so it was right up our street. Anyone with an interest in history or gardening; a mixed-generation family group; visitors from overseas who want to see a real, working stately home; nosy history nerds who like looking in posh strangers’ bedrooms. Have you been to Arundel? What’s your favourite castle to visit?